None of Ireland’s many critical moments in its often-tumultuous history was more significant or defining than the Easter Rising of 1916. Central to the Rising was the Proclamation of Independence, in which Pádraig Pearse declared the new nation’s resolve to cherish all its children equally. CHERISHING ALL THE CHILDREN EQUALLY? 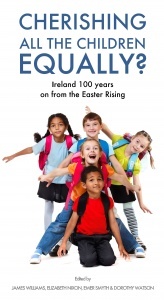 CHILDREN IN IRELAND 100 YEARS ON FROM THE EASTER RISING brings together contributions from a range of disciplines to shed light on the processes of child development and to investigate how that development is influenced by a variety of demographic, familial and socio-economic factors. Making extensive use of research and data that have emerged over recent years from the Growing Up in Ireland longitudinal study of children and young people, along with their families and other key caregivers such as teachers and child minders, the book considers the supports necessary for some children to ensure that they can participate in all aspects of society on an equal footing with their peers, regardless of their family circumstances, physical health, ethnic origins or other background characteristics. 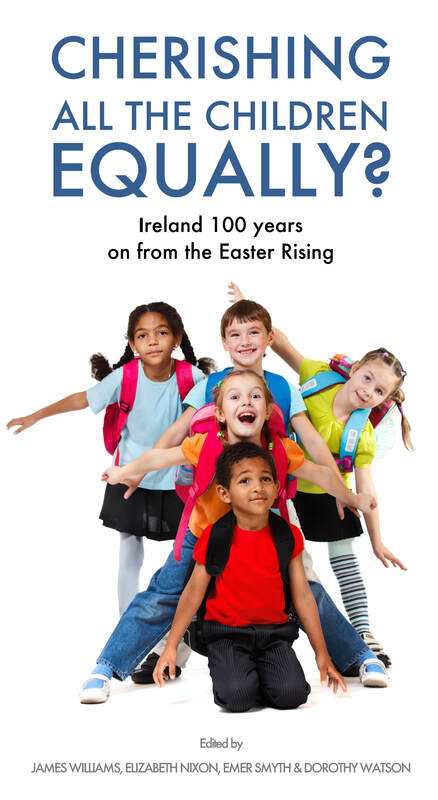 It puts a firm focus on children themselves and their outcomes, regardless of any context or environment in which they may be growing up, with a view to assessing the extent to which they are treated equally in 21st century Ireland. Clearly the Ireland of 2016 and the circumstances of children and their families living here are very different to those of 1916. The central question that we address in the book is whether social and other opportunities are distributed equally among our children. Are some groups of children in the Ireland of 2016 substantially and systematically disadvantaged relative to others? Do we as a nation fulfil the aspirations set out in the Proclamation of 1916 and cherish all of our children equally, or do we find that the Ireland of 2016 still has (in Pearse’s terminology) minorities divided from the majority – albeit, perhaps, along different lines to those evident in 1916? The remainder of the book presents 13 chapters to address this question. Chapters 2 and 3 set the historical context for the book. Chapter 2 begins by providing an overview of the way in which childhood has been conceptualised in Ireland over the last 100 years and how official responses to children and their experiences have changed over the century and the extent to which the rights and personhood of children have been advanced. Chapter 3 addresses in detail some of the major changes that have taken place in family circumstances and structures since 1916 and considers whether these have universally worked to the advantage of all children. The chapter examines issues around family size and number of siblings, death among children and family stability / instability. Chapter 4 considers the role of family structure and process in children’s development and asks whether these represent a source of inequality in children’s lives, placing children in certain types of family at risk of relatively poorer developmental outcomes. Chapter 5 explores the ways in which family socio-economic status may influence cognitive and learning outcomes for children. The chapter considers whether inequalities in children’s learning and cognitive outcomes that are associated with lower levels of financial and other resources in the home can be remediated, at least in part, through parental support of, or investment in, their children in other ways. Chapter 6 provides a detailed discussion of the history of childcare provision in Ireland throughout the 20th century before investigating trends in non-parental childcare for infants in the first few years of life. The role of the Free Pre-school Year, a major policy shift in the Irish context, is also discussed. Chapter 7 changes the focus to education and investigates the extent to which social inequalities are evident in children’s experiences of integration into primary education. In particular, the chapter examines the nature of social differentiation in the transition process to the primary education system and begins to unpack the extent to which any such social differentiation reflects inequalities in relation to a number of factors, including the home learning environment, early cognitive development and previous experience of formal care settings. Chapter 8 examines aspects of provision for children with special educational needs and considers their inclusion within Irish mainstream education in recent years. It considers how much of the education and care of children with special needs in the early decades of the 20th century was provided by religious orders before going on to discuss how, since the early 1990s, there has been a substantial shift in focus from segregated educational provision towards a more inclusive view of special education, mainly delivered within mainstream schools. In particular, the chapter considers the proportion of children with special educational needs and variations in levels according to the background characteristics of the children in question. Chapter 9 discusses a number of aspects of the social engagement and integration of the increasing proportions of migrant children in Ireland, particularly their integration within the education system. It highlights important differences between different migrant groups in their educational and social outcomes, reflecting the heterogeneity of the migrant population in Ireland. Chapter 10 focuses on aspects of social disadvantage and trends in children’s health and development. Issues including social profiling of low birth weight, maternal-reported health status of their children, the effects of smoking during pregnancy on the child’s development and aspects of overweight and obesity among children are examined. Chapter 11 discusses healthcare use among children and the extent to which the current system of healthcare financing in Ireland leads, in particular, to differences in patterns of the use of GP services by children that are not predicted by their need for healthcare. The analysis investigates not only variations in use levels but also considers the demand implications of future policy proposals around extending free GP care to further cohorts of children. Chapter 12 considers the prevalence of anti-social behaviour in the early teenage years in Ireland, the nature of this behaviour and the extent to which anti-social behaviour is associated with socio-economic characteristics of the family, family structure and other factors such as parenting style, the adolescent’s self-esteem and peer influences. Chapter 13 examines the economic vulnerability of families with children in Ireland, focusing, in particular, on the effects that the post-2007 recession has had on the material circumstances of children and the relationship between economic vulnerability and socio-emotional outcomes for children. Finally, Chapter 14 presents an overview of the findings presented throughout the book. In doing so, it attempts to answer the core question that we posed in the opening paragraphs: notwithstanding the undoubted improvements in the circumstances and living conditions facing children between 1916 and 2016, can we identify groups of children within contemporary Irish society who are particularly disadvantaged and whom we do not cherish as we should?